The overall value compared to the price is incredible. Don’t miss this one if your considering a move to all that Prince George has to offer! 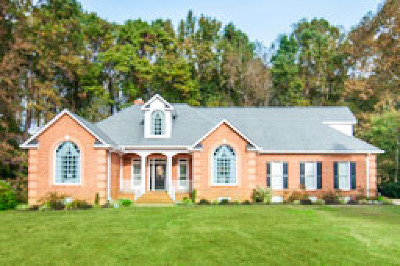 All the elegance and charm awaits you on this completely renovated All Brick One Story (upper level bonus room up, with walk-in storage, has an option to add a fourth full bath) home, perfectly situated on almost 5 acres with unbelievable privacy. No corner was cut on putting this one of a kind beauty together. Luxurious kitchen boast top notch granite counter-tops, custom-made cabinets & stainless steel appliances, hardwood floors throughout.Exquisite Master Bath has custom-made cabinets, soaking tub, tiled floors, & shower, w/seamless glass door. Secondary bath has been tastefully renovated. Family Room has an inviting stone fireplace from floor to ceiling, and can be wood burning or gas. All rooms have been freshly painted, Double-Hng Thrml Anderson windows, Sldng Glss Door leading to aggregate maint-free deck is 23x12, Heated Swim Spa. Sideload Garage is oversized at 23L x 24w, with it's own private storage. Two yr maintenance agreement on home is transferable. Near interstates, and 1 mile from Fort Lee. We kindly welcome your visit. Directions: Use Route 36 To Jefferson Park Road. Home Will Be On The Lefthand Side, In Approx. 1.5 Miles.